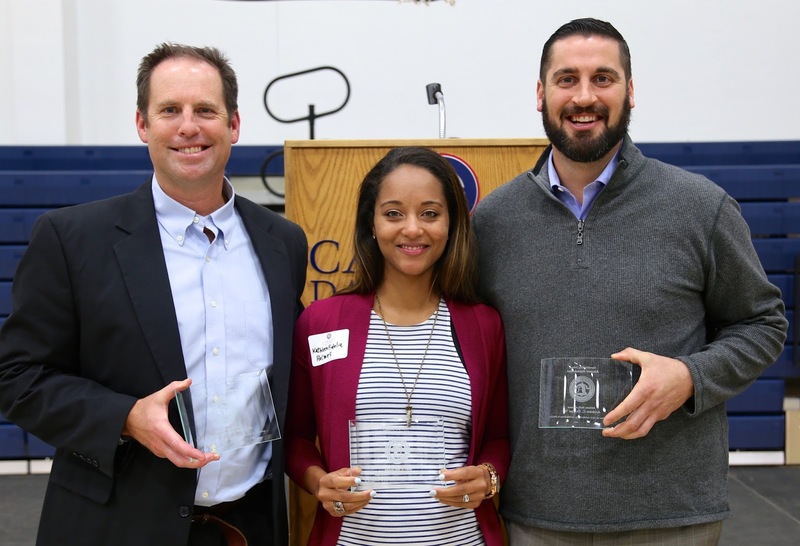 Steve Henry ACDS '86, Kathleen Fidelia Holmes CDS '05, and Andy Sharpe CDS '02 were inducted into the Athletic Hall of Fame Saturday, October 10. Sponsored by the CDS Alumni Association, the Athletic Hall of Fame recognizes members of the Carolina Day School family members who have distinguished themselves as outstanding contributors to athletics at CDS or its predecessor schools, demonstrated good sportsmanship and citizenship character, and left a lasting impression of achievement and excellence on the CDS athletic family. 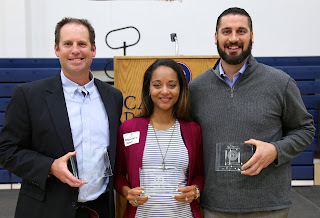 This year’s recipients were chosen from a list of more than two dozen former athletes and coaches nominated by both past and present members of the Carolina Day School community. Steve Henry is the Director of Athletics at Carolina Day School. 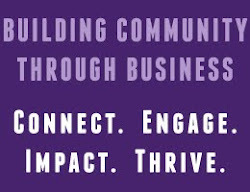 Henry often calls the athletics program “the front porch of the institution” that plays a critical role in the educational experience of the students and the reputation of the school. 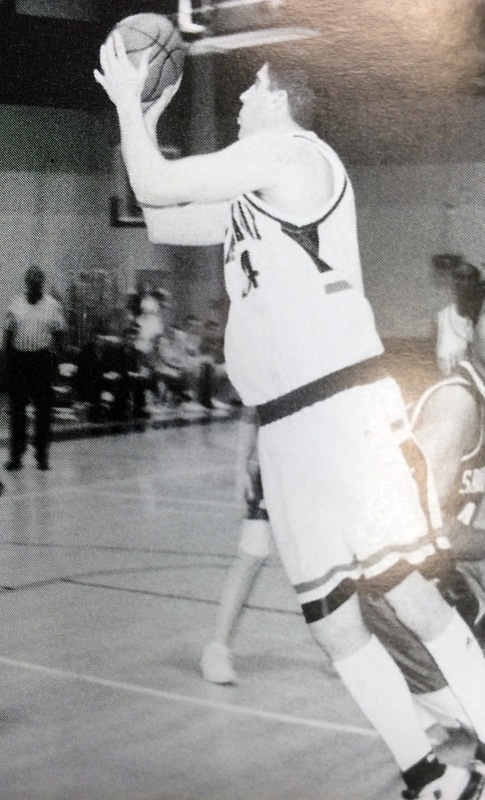 Henry also has extensive athletic and coaching accomplishments, including receiving the Hamilton award for Best Male Senior Athlete at CDS in 1986, the Washburn award for best CDS athlete grades 9-11 in 1985, All-WNC basketball selection in 1986, and multiple year All-Conference selection in basketball, golf, and tennis. He played four years of collegiate basketball at Guilford College for NAIA and NC Hall of Fame basketball coach Jack Jensen. In addition to basketball at Guilford, Henry competed in both golf and tennis. 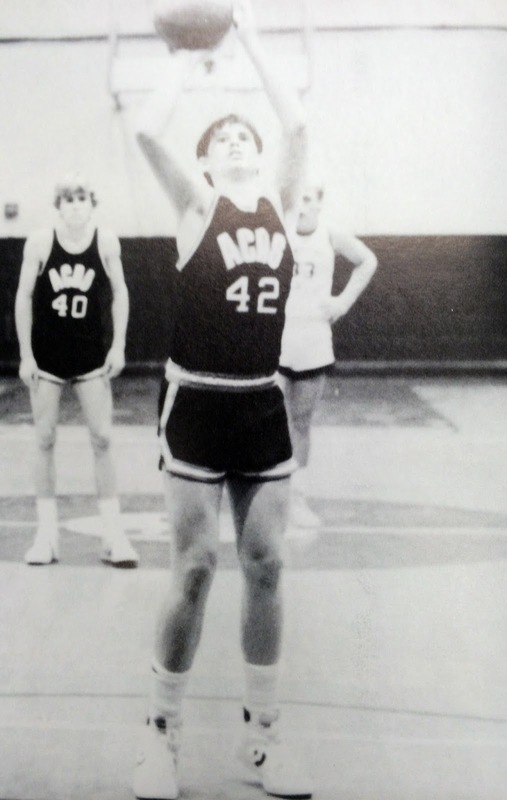 Prior to his arrival at CDS, Henry was a successful athletic director and basketball coach at Warren Wilson College. Since joining CDS, Henry has coached varsity basketball, in which the team went to the state finals and state tournament multiple times. He also coached varsity boys soccer, Middle School boys soccer, Middle School girls soccer, Middle School boys golf, and countless Play for Your School basketball and soccer teams. Andy Sharpe says he is most proud of his team winning three basketball state champions during his time at Carolina Day School. As one of the leaders of those teams, he was instrumental in helping those teams reach that accomplishment. Sharpe has a number of personal achievements beyond those three basketball state championships: He received the Hamilton Award for Best Male Senior Athlete in 2002, a three-time All-Conference and All-State selection in basketball, CAA Conference basketball player of the year as a senior, All-State, All-Conference, and team MVP in soccer, and All-Conference and team MVP in baseball. 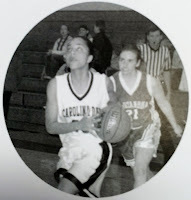 points, four-time selection as team MVP, helped lead the team to state runner-up finish in her freshman season and a fourth place finish as a sophomore. Then at Wheaton College, she was the first women's basketball player in the school’s history to record at least 1,250 career points, 450 career rebounds, combined with 300 assists, and 200 career steals. In her senior year, she was first team All-Central selection for women's basketball.